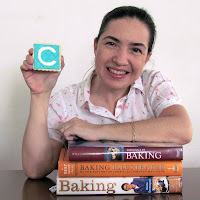 Good friend and talented decorator Bea from www.cancuncookies.com just hit 100 posts on her blog and is hosting a fun giveaway! She’ll be giving a gift certificate to Karen’s Cookies to the lucky winner of her drawing. Browse through her previous posts and be sure to follow her.